transplantation to limbal stem cell-deficient mice. Markus Frank, and Natasha Frank. Boston researchers have identified a way to enhance regrowth of human corneal tissue to restore vision, using a molecule known as ABCB5 that acts as a marker for hard-to-find limbal stem cells. This research, a collaboration between the Massachusetts Eye and Ear/Schepens Eye Research Institute (Mass. Eye and Ear), Boston Children's Hospital, Brigham and Women's Hospital and the VA Boston Healthcare System, provides promise to burn victims, victims of chemical injury and others with damaging eye diseases. The research, appearing this week in Nature, is also one of the first known examples of constructing a tissue from an adult-derived human stem cell. 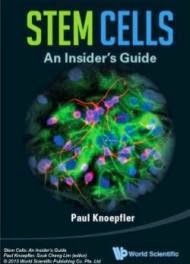 "Limbal stem cells are very rare, and successful transplants are dependent on these rare cells. This finding will now make it much easier to restore the corneal surface. It's a very good example of basic research moving quickly to a translational application." said Bruce Ksander, Ph.D., of Mass. Eye and Ear, co-lead author on the study with post-doctoral fellow Paraskevi Kolovou, M.D. ABCB5 was originally discovered in the lab of Markus Frank, M.D., of Boston Children's Hospital, and Natasha Frank, M.D., of the VA Boston Healthcare System and Brigham and Women's Hospital, co-senior investigators on the study, as being produced in tissue precursor cells in human skin and intestine. In the new work, using a mouse model developed by the Frank lab, they found that ABCB5 also occurs in limbal stem cells and is required for their maintenance and survival, and for corneal development and repair. 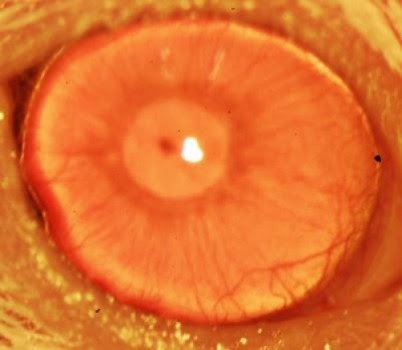 Mice lacking a functional ABCB5 gene lost their populations of limbal stem cells, and their corneas healed poorly after injury. "ABCB5 allows limbal stem cells to survive, protecting them from apoptosis [programmed cell death]," says Markus Frank. "The mouse model allowed us for the first time to understand the role of ABCB5 in normal development, and should be very important to the stem cell field in general." according to Natasha Frank. Markus Frank is working with biopharmaceutical industry to develop a clinical-grade ABCB5 antibody that would meet U.S. regulatory approvals. "A single lab cannot do a study like this. It integrates genetics, knockout mice, antibodies, transplantation -- a lot of technical expertise that we were lucky came together in a very nice way." concluded Natasha Frank.